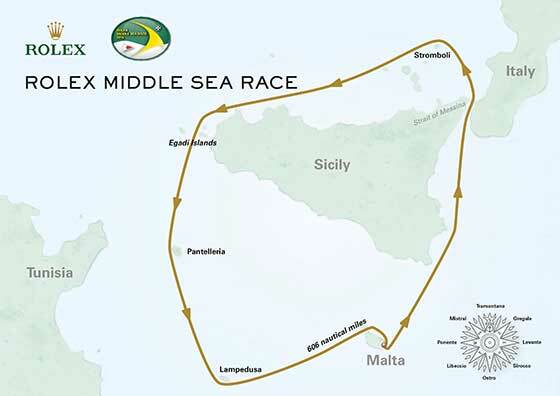 The Rolex Middle Sea Race will start this Saturday, 17th October. However, the traditional warm up race, the Rolex Middle Sea Coastal Race, took place on Wednesday 14th October. 30 Yachts started the Rolex Middle Sea Coastal Race, divided into six IRC Classes. Principle Race Officer, Peter Dimech, set a course of approximately 30 miles from Marsamxett Harbour, around the island of Comino, and a finish at the point of origin, within sight of the Royal Malta Yacht Club. Competitors reported wind speeds in excess of thirty knots, giving the fleet a taste of the ocean racing to come. 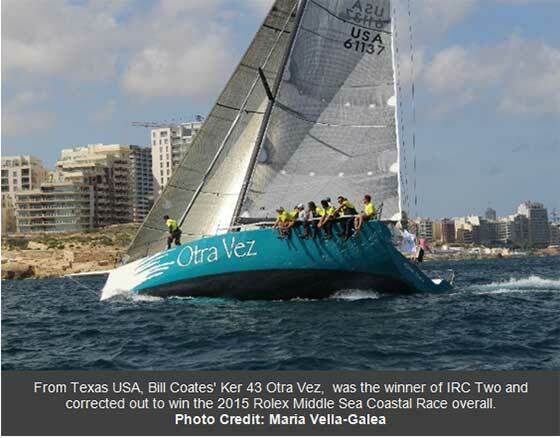 From Texas USA, Bill Coates' Ker 43 Otra Vez, was the winner of IRC Two and corrected out to win the 2015 Rolex Middle Sea Coastal Race overall. This is the first time that the Texan Ker 43 has raced in Maltese waters. Followers of the Rolex Middle Sea Race will recognise the name, Otra Vez. However the Maltese J/122 Otra Vez, is owned and sailed by Aaron and Edward Gatt Floridia. "I have known Aaron for nearly 20 years and every time I have bought a boat, I have always sold it to him and he likes to keep the name. Speaking with Aaron and other sailors, I have always wanted to do this race and I am on a bit of a quest to do all of the top 600 mile races, we did the RORC Caribbean 600 earlier this year but this will be my first Rolex Middle Sea Race. I have been told that the conditions are really light or really rough and there is no in between. Success in this race is very dependent on the weather and the size of your boat but our motto is we never give up, we just keep plugging away and that has always worked well for us. It was fantastic today, the boat speed was routinely 18-20 knots off the wind and in the lee of the island the sea was pretty flat for the strong upwind conditions; it was as comfortable a 20-knot beat that you could have. We have made quite a few modifications to the boat and today was the first time we have had to test them out, so today was very important for us. The conditions we had today were in the corners of performance that we were trying to optimise and for the crew it was great to get back in the groove, because we only sail together five or six times a year." "This is a young Turkish team that has a lot of potential." commented Martin Watts. "Most of them coach junior sailors back home in Ismir and campaign the Ker 40 at the same time. However, the team is looking to build their offshore experience and the Rolex Middle Sea Race is a perfect way to get in those miles. The big race looks like it could be a light one and that may well suit us." Xp-44, Vikesha II, sailed by Igor Skalin from the Czech Republic, corrected out to win IRC Four and Yves Grosjean's French J/133 Jivaro, from Trinite-sur-Mer was the winner of IRC Five. David Latham's Pronavia 38, Seawolf was the winner of IRC Six. "It was great day out there today, 18-25 knots with a reaching start and a great blast downwind at over 20 knots of boat speed." Commented navigator Ian Moore. "Then we hardened up around Comino and it started off as a fetch but turned into a beat, so a great day with plenty of wind angles to test out the crew and the equipment. Otra Vez showed great speed, especially upwind, but taking our positives; we had a great start and made good decisions down the run. We haven't sailed together since last year and the rig is still up!" Apart from a few torn sails, the thirty strong fleet finished the race safe and sound, including Elusive II BOV, sailed by the Podesta siblings, the first Maltese boat to finish the race. Tomorrow the focus switches to one of sailing's most famous parties - the Rolex Middle Sea Race Crew Party. Held at the Royal Malta Yacht Club, an invitation is the hottest ticket in town. The 36th edition of the Rolex Middle Sea Race will start at 1100 CET, Saturday 17th October, with seven starts for the fleet in the stunning surroundings of Valletta's Grand Harbour. 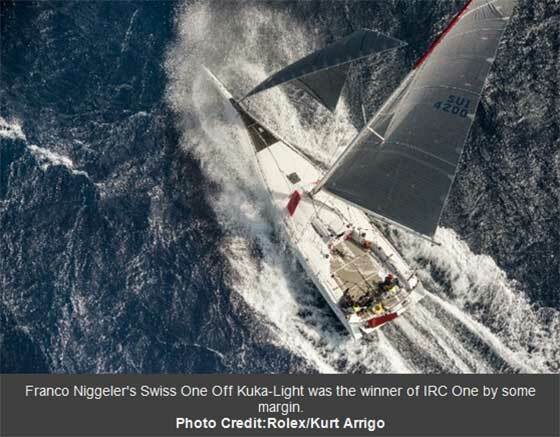 Franco Niggeler's Swiss One Off Kuka-Light was the winner of IRC One by some margin. 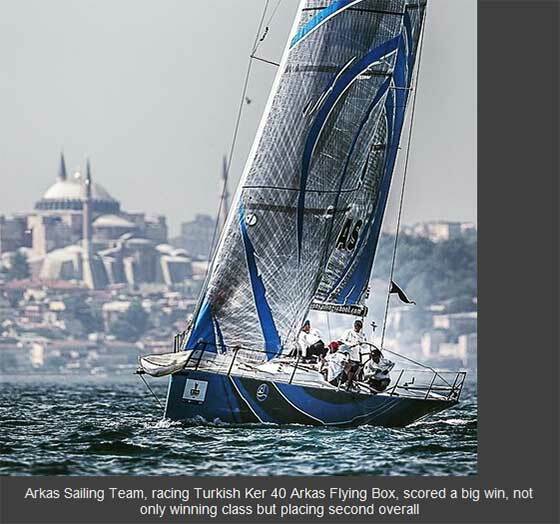 In IRC Three, the Arkas Sailing Team, racing Turkish Ker 40 Arkas Flying Box, scored a big win, not only winning class but placing second overall. The young Turkish team is skippered by Serhat Altay and coached by British sailor, Martin Watts. 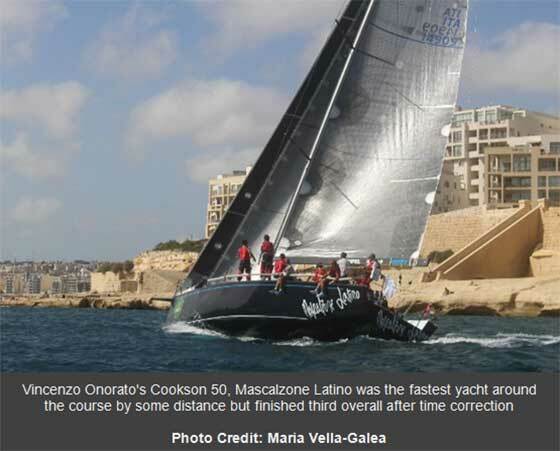 Vincenzo Onorato's Cookson 50, Mascalzone Latino was the fastest yacht around the course by some distance but finished third overall after time correction. Last year, Mascalzone Latino won the Coastal Race, then broke their rig in the 606-mile Rolex Middle Sea Race. 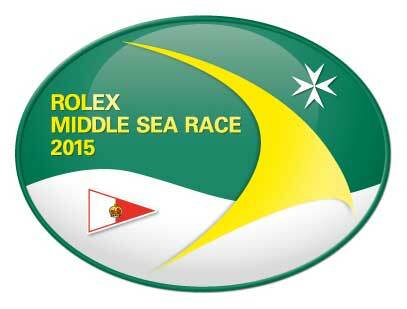 To follow the race, visit the official Rolex Middle Sea Race website. All of the competitors are encouraged to contact the media team during the race with stories from the sea, pictures and even videos.